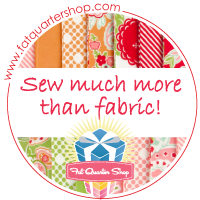 Need to keep fabric out of the way while in the hoop? I bet you’ve got something in the house that will work perfectly! Try clam clips for hair, black office binder clips, or Wonder Clips for quilting if you have them. I prefer the clam clips because they are easy to maneuver on-the-fly if needed and can fit around a wad of fabric to keep it from slipping under the hoop. These are especially helpful for smaller items like tiny Onesies that have to be almost flipped completely inside out to stitch. I keep my clips, and other small sewing room items, in repurposed clear glass candle jars. Why throw that beauty away when the candle is gone? A half hour in the freezer easily removes all the old wax and after a run through the dishwasher, it’s ready for re-use. I like jars with wide open tops I can get my hands in. These are designated for my embroidery. No gummy hair spray residue please! Here’s the finished tee for my granddaughter. She adores her bunny! The design is from UrbanThreads.com. Now that’s a great tip for removing residue candle wax, thanks!